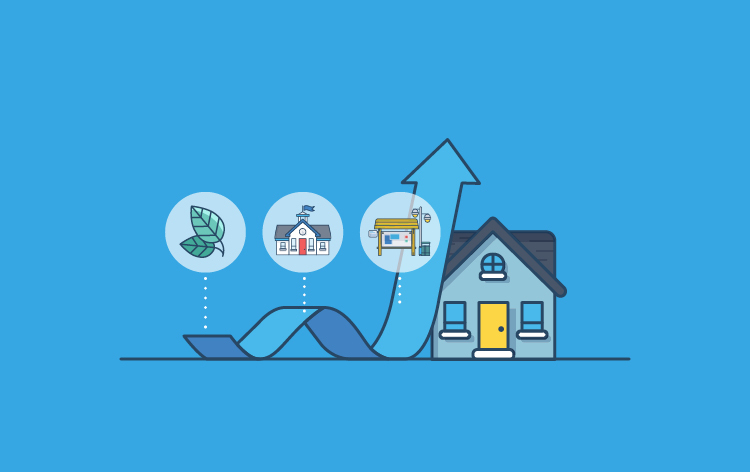 Many factors influence the market value of a home. Of course, the house itself is important: the layout, the number of bedrooms, whether it has a big deck or backyard. As a homebuyer or owner, you must also consider the factors separate from the home itself when considering market value. 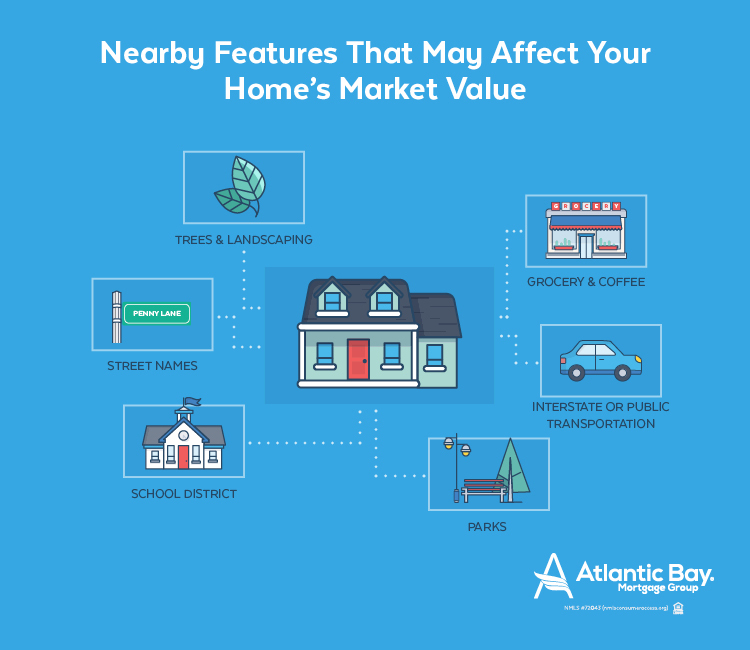 Whether it’s the school district or the nearby grocery store, these things can have a significant impact on a home’s market value. Here are a few external factors that may affect your property’s market value. Is your home in a good school district? It’s a classic “chicken or the egg” argument. Is it a good school district that drives home market values up, or is it higher market values that foster a superior school district? Regardless of which one drives the other, there’s almost always a direct correlation between affluent neighborhoods and better schools. 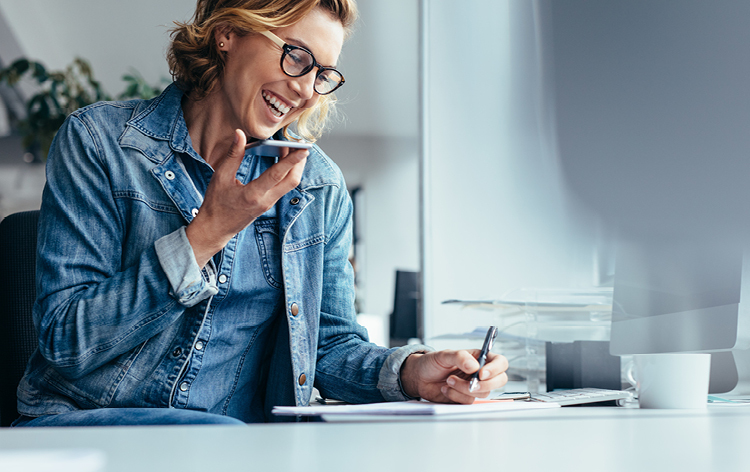 A realtor.com study shows that many buyers are willing to pay 1 to 10 percent above their budget for a home in a more desirable school district. Test scores, class sizes, and teacher-to-student ratios are a few factors you must consider when finding a “good” school district. Some other things to take into consideration are whether or not the school fosters social and emotional intelligence and if the school teaches functional skills like planning, focusing, remembering instruction, and multitasking. Are there popular grocery stores near your property? What about Starbucks? When a well-known store moves into or near a neighborhood, the market values of neighboring properties often increase. A study that looked at findings from “Zillow Talk, The New Rules of Real Estate,” written by two top Zillow executives, found that homes less than a mile from a Starbucks increased in value about 30 percent faster than homes farther away. The study also found that there is a correlation between increased home values and other coffee shops, like Dunkin’ Donuts, for example. While home values near Dunkin’ Donuts appreciate faster than the national average, they don’t increase as fast as those near a Starbucks. For this reason, the correlation between increased home market value and coffee is called “the Starbucks effect,” but it applies to much more than Frappuccinos. The Zillow study also concluded that properties with a local Trader Joe’s had appreciated 40 percent, while homes with a nearby Whole Foods had appreciated 34 percent. The rise in a home values doesn’t happen over night when a popular business opens locally, but over time, the presence of a popular store can have a positive impact on market value. 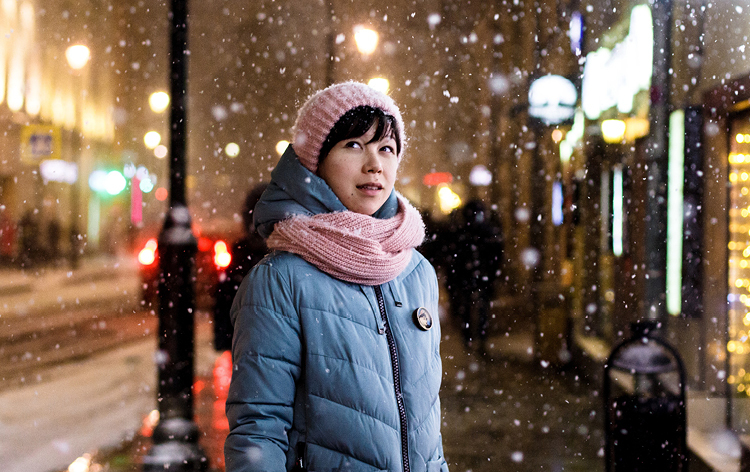 Are these stores, shops, and restaurants walkable from your home? That’s a major plus. Another factor to consider in market value is the proximity of parks, golf courses, and recreation areas. When these areas are well-maintained and easily accessible can increase a home’s market value. A survey found that a home located near a park or recreation area is worth 8 to 20 percent more than a house that isn’t. It’s an added bonus if you can walk or bike to these areas from the property. Market value can also increase if the interstate or public transportation is easily accessible. There’s a delicate balance between being near to the interstate and being too close to it. While living on the interstate may mean traffic and noise pollution, living in close proximity to the interstate or public transportation may provide a quicker commute to work, shopping, and recreation. When we think of public transportation, we usually picture underground subway systems in major cities, but other forms of public transportation include buses, trolleys, and ferries. 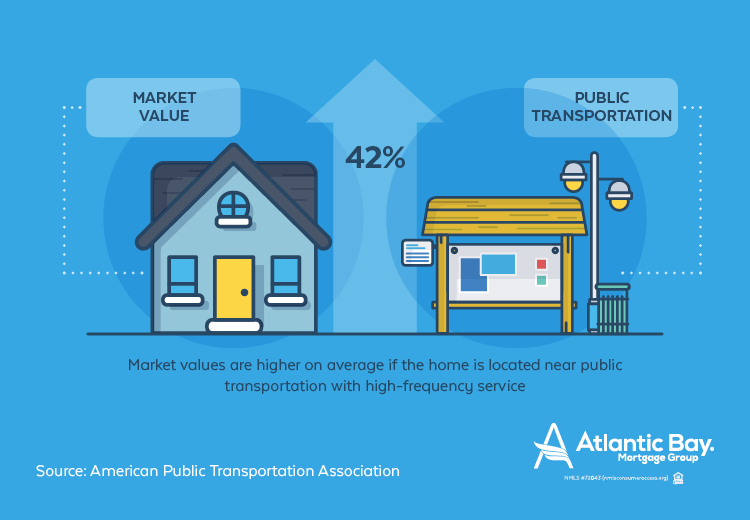 The American Public Transportation Association shows that on average, market values of homes located within half a mile from accessible public transportation performed 42 percent better then properties outside of the half-mile radius. So, if you’re considering buying a home, be sure to pay attention to its proximity to major roads and public transportation. 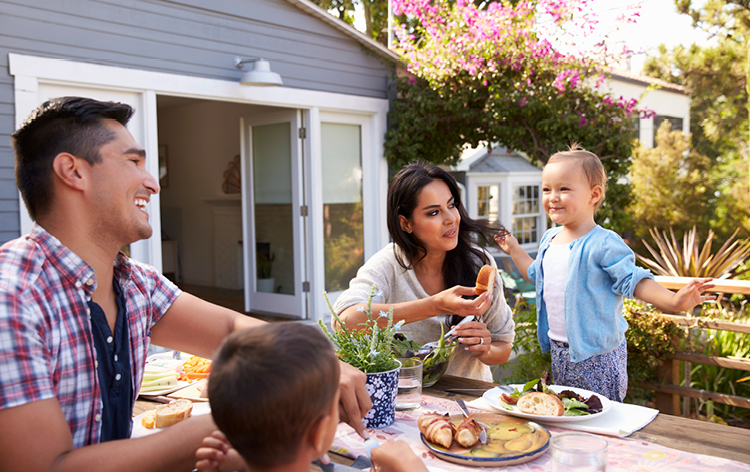 There are a few other external factors that boost a home’s market value that might come as more of a surprise to buyers and homeowners. Are there a lot of trees and plants in a neighborhood? A survey showed that a landscaped yard and neighborhood with mature and healthy trees increases market value on average three to 15 percent. Trees and landscaping are aesthetically pleasing and an overall good addition to increase the marketability of a home as long as they don’t make the property stick out compared to the neighboring homes. If your neighbor’s yard is perfectly manicured, it’s going to make your weeds and overgrown shrubbery even more noticeable, and vice versa. The street name can have an impact on market value as well. The New York Times found that a home on a street with an actual name is worth two percent more than one on a street that is just a number. Their study also found that homes on a “lane” or “place” are often worth more than homes on a “street” and uncommon street names increase market value more than common names. Whether it’s your neighborhood park or the proximity to caffeine, many different external factors affect the market value of a house. Visit the Atlantic Bay blog to learn more about property value and for more homeownership advice and information. 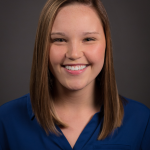 Rachel is a Content Writer for Atlantic Bay Mortgage Group®. In addition to contributing to the blog, she writes newsletters and custom real estate content. When she’s not working, she likes playing guitar, eating barbecue and sides, and spending as much time on the beach as possible.